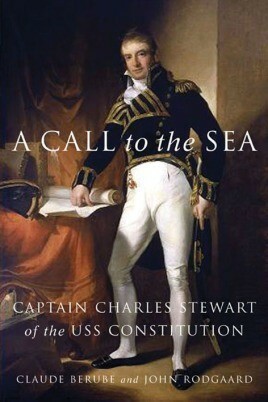 Charles Stewart's life of sailing and combat on the high seas rivals that of Patrick O'Brien's fictional hero, Jack Aubrey. Stewart held more sea commands (11) than any other U.S. Navy captain and served longer (63 years) than any officer in American naval history. Unfortunately, due to sales rights restrictions, we cannot offer A Call To The Sea for sale in your country. Charles Stewart's life of sailing and combat on the high seas rivals that of Patrick O'Brien's fictional hero, Jack Aubrey. Stewart held more sea commands (11) than any other U.S. Navy captain and served longer (63 years) than any officer in American naval history. He commanded every type of warship, from sloop to ship-of-the-line, and served every president from John Adams to Abraham Lincoln. Born in Philadelphia during the American Revolution, Stewart met President Washington and went to sea as a cabin boy on a merchantman before age thirteen. In March 1798, at age nineteen, he received a naval commission one month before the Department of the Navy was established. Stewart went on to an illustrious naval career: Thomas Jefferson recognised his Mediterranean exploits during the Barbary Wars; Stewart advised James Madison at the outset of the War of 1812; and Stewart trained many future senior naval officers—including David Porter, David Dixon Porter, and David G. Farragut—in three wars. He served as a pallbearer at President Lincoln's funeral.